The half-day we spent at the Antisana Ecological Reserve in the highlands of Ecuador was one of the great highlights of our eight-day trip. 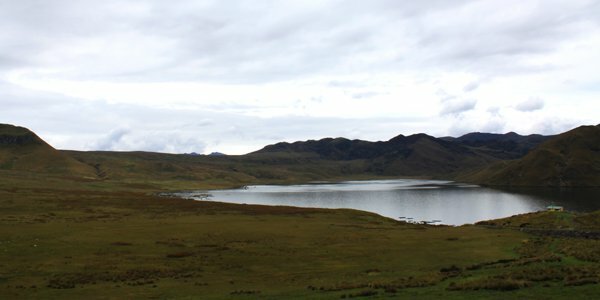 The birds were great but what this post will focus on is the sheer grandeur of the landscape, a landscape that is difficult to describe with just words. 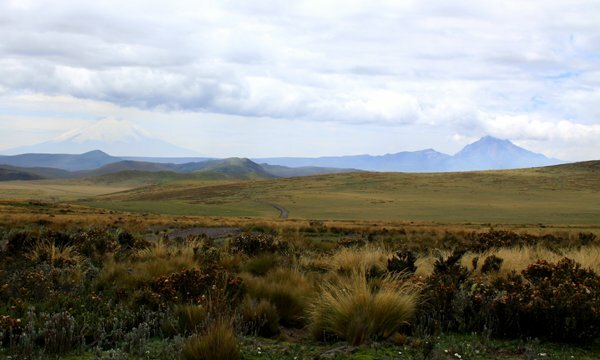 Antisana Ecological Reserve is comprised of over 120,000 hectares of land, so it is immense, and the section we visited was the high elevation páramo, which is, despite being near the equator, above the treeline. 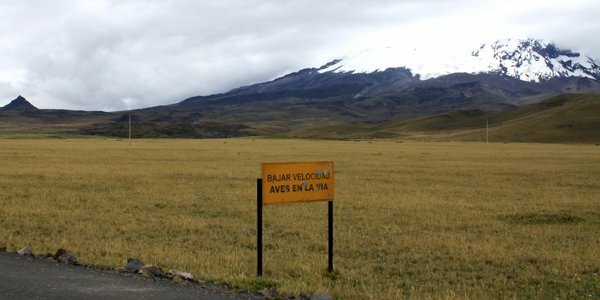 Though we reached an elevation of over 4,000 meters, two snow-capped volcanos, including the parks namesake, Volcan Antisana, still towered over us, their peaks often in the clouds. The elevation and the scenery made for what was truly a breathtaking panorama, one that I hope to revisit someday. 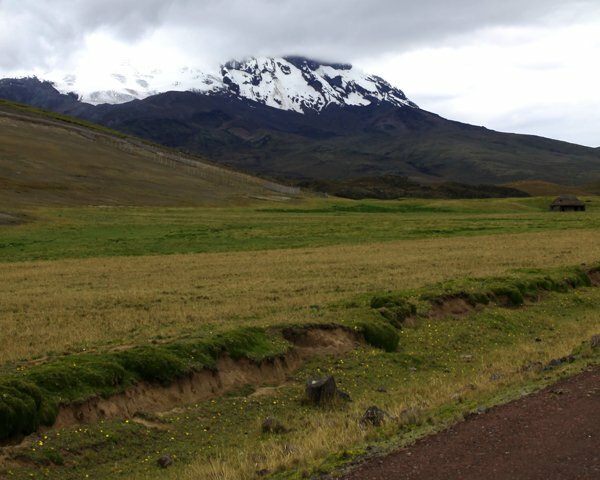 Only an hour from Quito, the páramo part of the park is actually grazed by sheep, and the runoff from the snow-capped peaks is used as a municipal water supply. 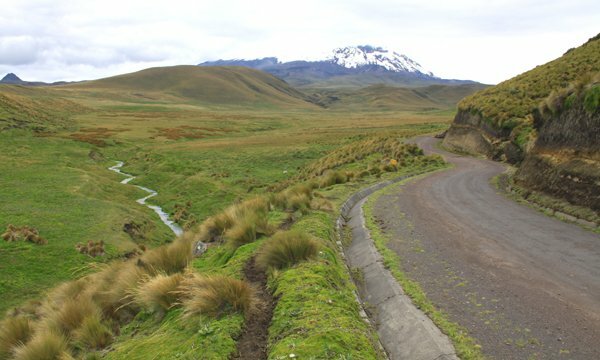 Despite the human presence the feeling of the landscape was one of isolation and wildness and the occasional vehicle or person encountered felt wildly out of place, even when standing on the side of the road. 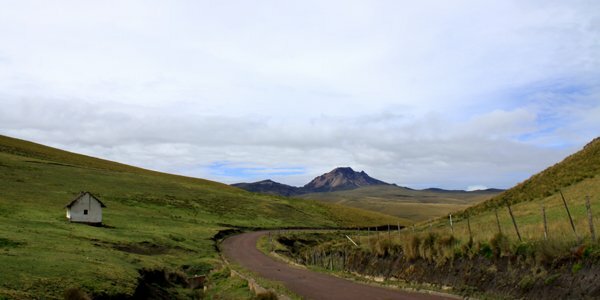 My next post will focus on the birds we found in Antisana Ecological Reserve but, until then, enjoy the landscapes. Some of those scenes could be the moors near where my parents live. Didja see any grouse? Sadly no to both questions. Though there were some great birds! What on earth were you doing in Alaska?!? @Jochen: We had a Baird’s Sandpiper, which actually is found in both Alaska and the Andes, so the comparison is pretty fair. Beautiful landscapes! 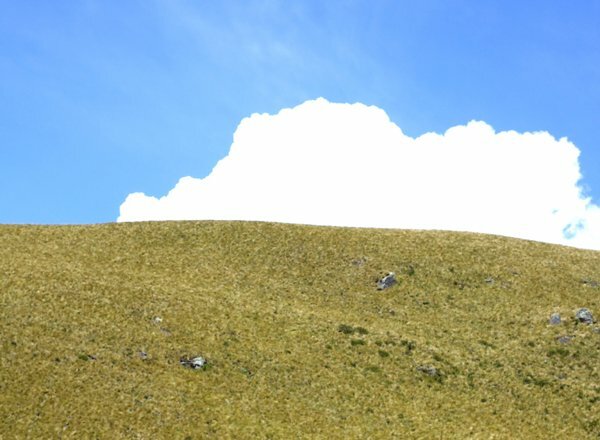 Maybe it was due to the lack of oxygen but I always felt as if I were in some ancient dream place when birding in those windy, October gold, paramo habitats of the high Andes.